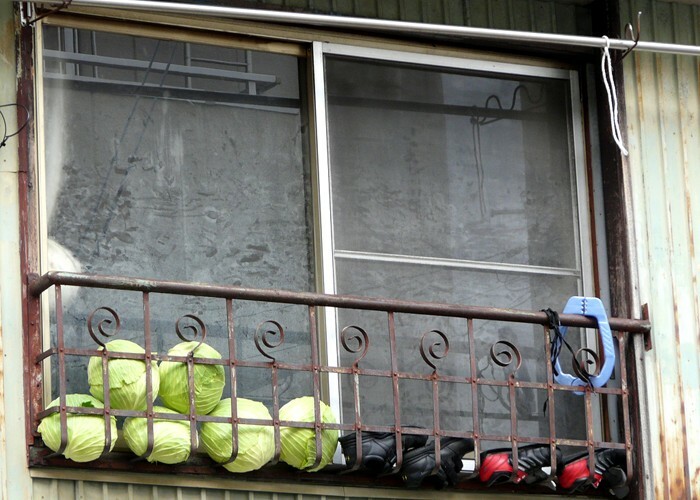 Metal window ledge/safety railing provides ample space for both storing cabbages (they are much sweeter when stored outside) and drying shoes. 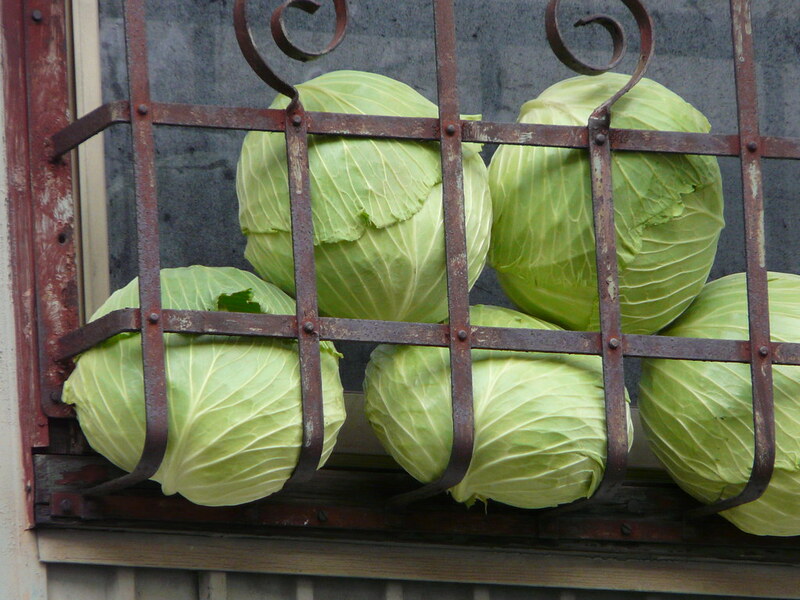 It’s inspiring to see delicious and practical use of a default safety fixture. 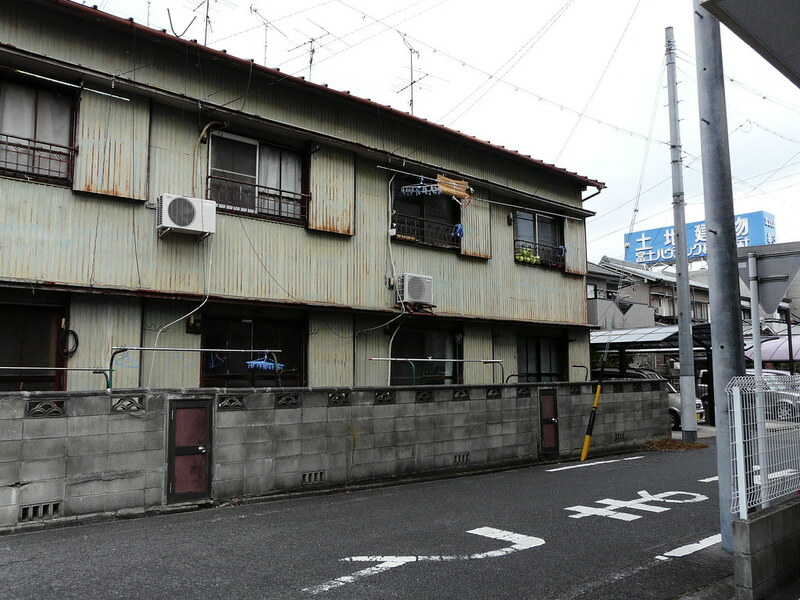 This simple example gives us a look into the life of the residents in this decaying suburb of Nagoya. 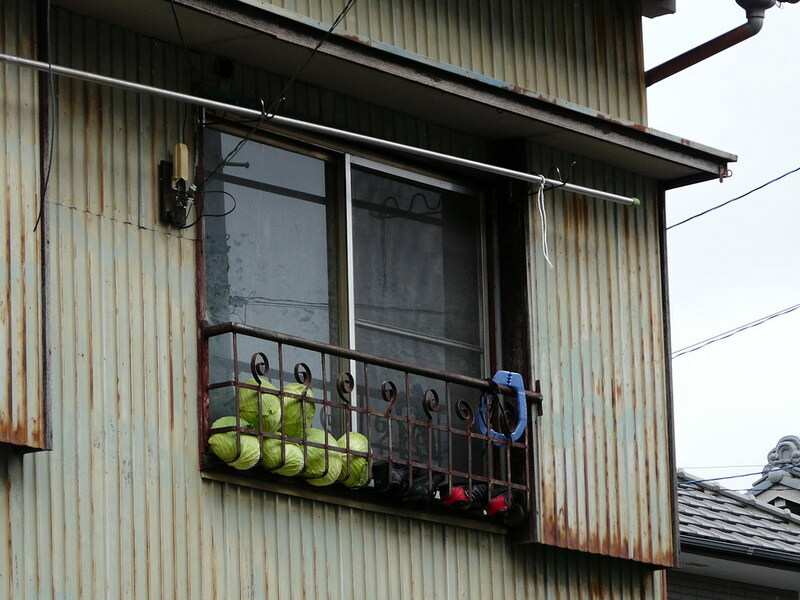 Without these clues we would never guess that sport-loving children and “culinaryily-considerate” humans reside within.